South of Red Wing, Minnesota is one of the most scenic golf courses with most stunning of views. 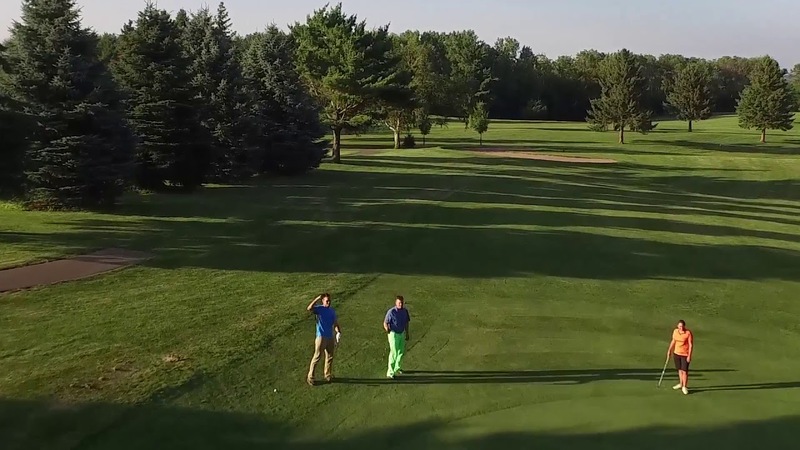 This hidden gem of a course is surrounded by rolling plains and beautiful woodlands as it sits 500 feet above the Mississippi River on the bluffs overlooking Lake Pepin and the Hiawatha Valley. With a majestic blend of scenery, history and challenge, Mount Frontenac Golf Course could very well be one of the Midwest's best kept secrets. You can find Mount Frontenac nestled in bluff country, where it showcases spectacular views overlooking Lake Pepin and the Hiawatha Valley. The 6,260 yards of the course play to a par of 71 and have four sets of tees. "We have some new upgrades for the 2014 golf season," said PGA Golf Professional and Club Manager Dan Diggins. "Our newer fleet of club car golf carts along with the newly paved cart paths will make the overall experience a pleasant one for our golfers this season." There is an updated menu at the Clubhouse and for banquets. Mt. Frontenac is a perfect location for meetings, weddings and corporate events. Come for the Pasta Nights, which are the first and third Thursday of every month. A great dinner at a great price. Mount Frontenac was designed by George Emerson and opened in 1985. The 18-holes play short at 6,160 yards from the tips with a course rating of 68.6 and a 119 slope. The course plays at 71 par and 6,003 from the white tees and 6226 from the blue tees. A few tight fairways and relatively small greens make for an exciting and challenging game for golfers of all playing abilities, for both tournament and individual play. Mount Frontenac offers a remarkably playable course, with some of the most spectacular, awe-inspiring views in the Midwest and amenities on par with that of many private clubs, at an extremely reasonable rate. A comprehensive practice facility gives players the option to work on individual improvement away from the 18 holes. Diggins is always available for private and group lessons as well. In March of 2000, the golf course was purchased by the Prairie Island Indian Community. Choosing to have the course remain open to the public, the Prairie Island Indian Community built a new clubhouse the following year that would be large enough to double as a banquet hall for reunions, wedding receptions, golf groups and tournaments. The spacious clubhouse features a sit-down restaurant, full-service bar and an outdoor patio. Mount Frontenac offers a wide array of menu choices with on-site, gourmet catering, full beverage service and custom room set up capable of accommodating up to 240 guests. Additional amenities include a putting green, on-course beverage and snack service, rental clubs, covered golf carts and satellite television. The clubhouse features a full ProShop with shoes, clubs, apparel and other accessories available. There are also a number of Play & Stay packages available, including one through the Prairie Island Indian Community's own Treasure Island Resort & Casino. The picturesque scenery and richly diverse wildlife of Frontenac make this golf course one of Minnesota's most breathtaking. Concealed in the bluffs of the Mississippi River and surrounded by beautiful trees, the 18 holes of Mount Frontenac are simply a must for any golf or nature lover. Please call 651-388-5826 for current rates. Call 651-388-5826 for rates and tee times. Contact Mount Frontenac Golf Course at 651-388-5826 for more information and details on holding a golf outing at the course. Contact Mount Frontenac Golf Course at 651-388-5826. Contact Mount Frontenac Golf Course at 651-388-5826 for onsite or nearby dining options. This profile was last updated on 04/17/2019 and has been viewed 11,190 times.